Opioids are the common thread in lawsuits where someone brings a case about physical harm due to medication such as pain relievers and pills. Litigation into these matters is frequently complicated and difficult to understand without the use of an expert witness, and these professionals present testimony about the drugs and their effects. The number of relatively healthy multiemployer pension plans does not correspond proportionately to the number of participants who are in a healthy plan. Metallurgic processes and similar procedures for hip replacement are not common knowledge to judges, juries and the average person. Because of this, it is important that expert witnesses with this experience and understanding are hired to clear up confusion and data about these events. Environmental contamination affects thousands around the country each year when there is a breach from contaminated sources into the drinking water. The testimony of an expert witness is necessary to explain what happened and how to correct the issue. Discrimination against someone based on age is a common occurrence, but employers are able to get away with these actions due to the lack of proof. Expert witnesses are necessary in these claims when the company discriminates for someone either too young or too old to demonstrate evidence to the judge or jury. Plane crashes are extremely horrendous incidences where many individuals die, sustain injury or leave traumatized from the crash and events leading to it. Expert witnesses are hired to explain the causes and how the issue started which led to the eventual crash. Trade secrets protect the business revenue of a company by securing the recipe, ingredient or process the owner has created or developed. Through keeping these intellectual properties confidential and secret within the company, the business is able to progress through the market with a competitive edge. Wastewater that has contaminated drinking or ground water is dangerous to the public if it mixes with the primary drinking source. Environmental engineering experts are tasked with explaining in the courtroom how this happens and who is to blame for the problems. Anti-fraud technology and procedure has failed to stop liar buyer fraud practices and processes against others, and because of this it is perpetuated through the years. There are methods that could reduce the losses caused by these actions, and expert witnesses are hired to explain both these and how the victims are owed damages to those that have caused economic and financial injury. Virtual reality is through devices, software and online interfaces which make cases and claims against these crimes difficult to pull off with the strongest evidence. However, some expert witnesses have been hired to testify either on behalf of or against those using these virtual reality interfaces where a crime has occurred or where injury was sustained. Selective serotonin reuptake inhibitors or SSRIs are often used in various medications, and even pregnant women are prescribed these with a 2.3 percent frequency. Most of all babies to those few women that take SSRIs are born without any complications, but there is enough evidence to suggest that there are birth defects and other problems due to these medications. Human factors deal with how a person or multiple individuals interact, use and misuse products, objects, tools, equipment and the environments these situations occur within. For an expert’s hire, he or she must explain how the interactions affect the mental, perceptual and physical capabilities and limitations relevant to the case. The more complicated and complex types of injuries and medical conditions require the hire and use of an expert witness, and these professionals are able to explain and confirm diagnosis of these ailments. Joint injuries, diseases and medical complications necessitate additional experts that understand how the workings of the body lead to or are damaged by medical professionals. The lawyer and the expert witness often built a strong relationship to progress through the case and succeed with hard work and determination. However, when the professionals are unable to work together, the client may suffer, and the effect upon the case itself is often negative with severe consequences. A medical expert witness is hired for cases where the plaintiff suffered stroke to explain the effects of these conditions, how they harm the person that was a patient and how the hospital or doctor may have been to blame for the situation. His or her expertise is needed so the judge or jury are informed of matters they may have no information on and why they are important. When a person has created a will, there are often challenges to the document and terms and conditions held within by family or other dependents. However, an expert may be needed in the event that the plaintiff was left out of the will when the estate owner that has died was not of sound mind in finalizing the clauses and persons to inherit. Multiemployer pension plans in the aggregate have a funded ratio of 81 percent as of June 30, 2017, which represents an increase from a 77 percent funding ratio as of December 31, 2016. The improvement reduces the funding deficit by $21 billion. Expert witnesses with a background of accounting are needed when the issue in the courtroom deals with numbers, financial information and accounts at a company or small business. However, selecting the best professional for the entity is important so that the relationship between client, lawyer and expert are in sync for a more beneficial association. Diagnosing an illness is essential to ensure the right treatment is applied to the patient before the cause of his or her ailment progresses beyond that which medicine is capable. When there is a delay in these diagnoses, the individual could proceed to the last stages of the condition where there is no possible treatment available, and then he or she may die. Defamation complications affect both standard persons and celebrities, and it is difficult to undo the damage simple words or print may cause to these individuals. When a defamation case is complicated and difficult to understand, an expert witness is hired to unravel the mystery and explain the relevant details to the courtroom. Sexual assault and sexual discrimination are rampant in the United States due to a lack of understanding of both genders and how these issues affect the targets. The attitudes and belief of what is considered assault and discrimination is severely confused, and this has led to even the most morally outstanding person confused about what these subjects mean. The dangers of inpatient suicide are often observable when the individual has little hope, appears depressed, has symptoms or is too happy. However, it is important to first assess the risk that suicide is possible, and then the professionals attempting to help the patient may avert the disaster before it occurs. Police practices when confronting someone that may have perpetrated a crime should be reasonable and have guidelines to prevent consequences that lead to litigation. However, when law enforcement officers are unable to rein in emotional outbursts, physical violence against others and similar incidents, an expert witness is needed to explain how these standards should affect the scene. Copyright infringement is a rampant crime in the age where technology rules over these matters, and the issues with copyrighted works being copied and distributed increases each year. However, the need for an expert witness arises when similar works are fashioned from the original that are similar enough to lead to infringement claims against the author. Medical expert witnesses are often hired and used for various cases in prosecution and defense alike, and these professionals are able to explain various pieces of evidence. Through an understanding of the subject matter, these individuals are capable of explaining things to the jury or judge that were confusing or misunderstood previously. Medical expert witnesses are hired for a variety of reasons, but their most often used expertise is to explain medical treatment procedures and processes for a case where someone has been injured. Professionals in the medical world provide services to a courtroom by explaining how an injury occurred and why it is so important to obtain compensation. Police brutality cases are often experienced when officers are not trained properly, have been subjected to pressure or abuse in their lives or have certain views such as racism or sexism. 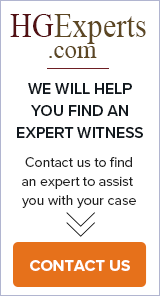 When these incidents occur, it is generally important to hire an expert witness that is able to explain why they actions occur and how the victim needs compensation to recover. Injuries due to gastric balloons are still being researched due to this newer alternative for weight loss, and because it is still a surgery, internal damage is still likely outcome. When an individual is seeking compensation for incidents with gastric surgery, he or she may require the services of an expert witness that has performed these surgeries or understands the medical procedure. When someone has fallen from a horse while riding, the incident could have occurred due to improperly maintained equipment, inappropriate training of the animal or through a similar issue. When a claim for the injury arises, an expert witness is often necessary to explain and assess liability so that compensation claims are possible and understood better. The Equifax data breach caused several million individuals complications when private information was released online to various locations with free access. However, with the rise of private and class action lawsuits against the company, experts have been hired en masse to assist with these issues and explain why certain evidence corresponds to actions and behavior. Opioid usage, abuse and prescription issues have become such a problem that some persons are addicted and may become injured through use and abuse. Because these drugs are both used in the medical world and through illegal personal purchase, many are harmed when the drugs are not consumed properly.